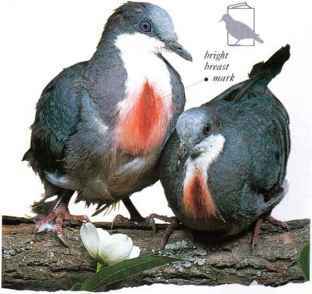 I lie bloodlike breast markings of this species vary from one bird to another and must serve as recognition marks by which individuals can identify each other. This is necessary because they live in the permanent semi-darkness of the rain forest floor. Here they move quietly among low, shrubby vegetation in search of seeds and berries, and also taking grubs, snails, and other invertebrates. 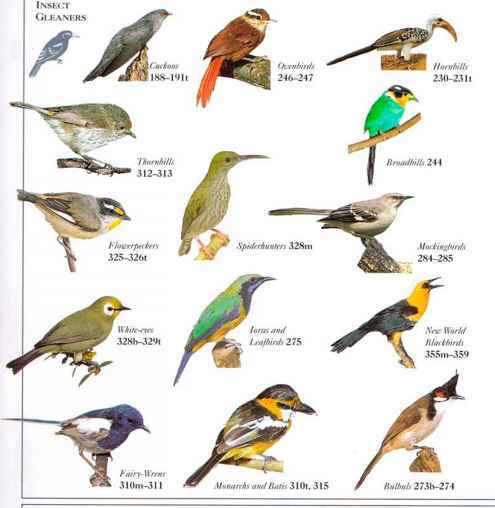 • NliST A scanty nest of twigs, placed in a shrub or low tree.